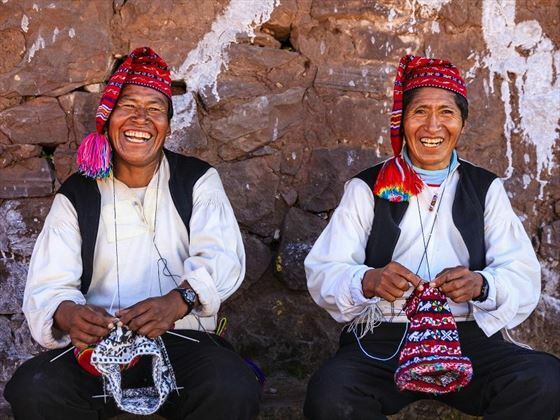 Trek through the Amazon, tour the fascinating Machu Picchu and meet local Andean communities on our 10-day Peruvian adventure. The trip starts in the capital city, Lima, and includes an exciting two-day stay in a jungle lodge, experiencing the rainforest, visits to Incan ruins and villages, ending in the historic and cultural Cusco. 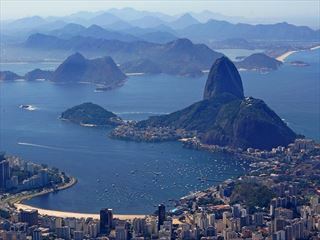 This tour offers the perfect blend of wildlife, culture and history, ideal for families of all ages. Highlights include spotting endangered wildlife such as river otters and monkeys on walks through the Amazon and taking a guided tour of UNESCO-listed Machu Picchu. You’ll get a chance to have lunch with residents in an Andean village, meet llamas and alpacas and take in Lima’s museums and churches. Along the way you’ll also have fun riding a train through the Sacred Valley and exploring Cusco (INT-GGFB). 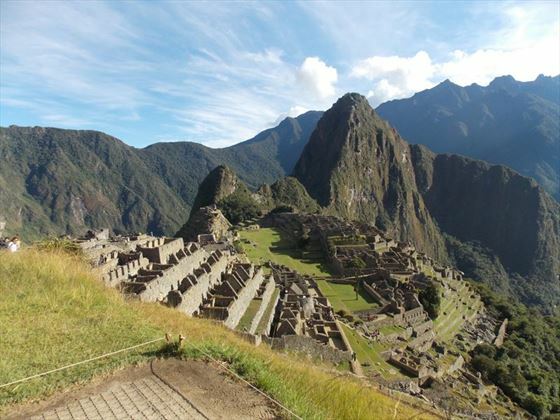 Visit the Incan ruins at Machu Picchu, one of the New Seven Wonders of the World. Stay in the Amazon Rainforest and spot rare wildlife on jungle treks. 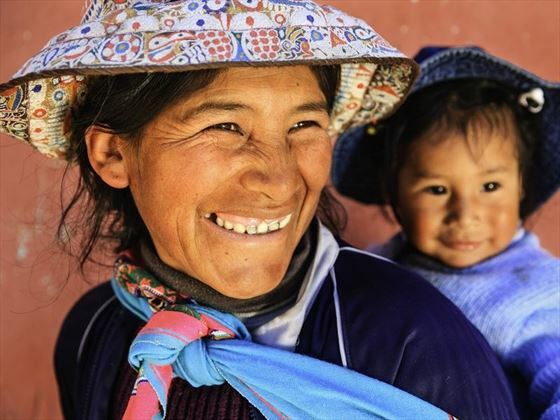 Explore the Sacred Valley and its ruins, visiting farmers, artisans and alpacas. Wander the historical streets of Cusco, with its museums and ancient architecture. Take a scenic train journey through the spectacular Sacred Valley. 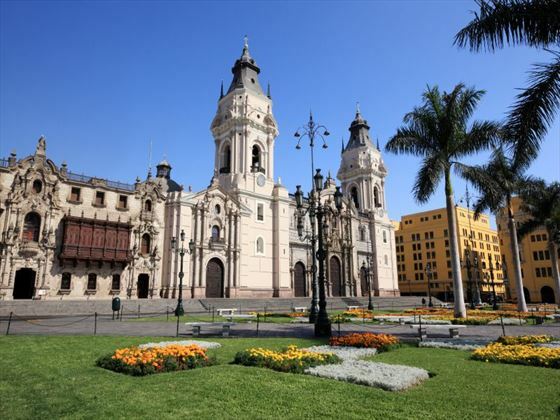 Enjoy a guided tour of Lima’s markets, churches, monasteries and museums. Please note the minimum age for this tour is 5 years of age. Welcome to Peru! Your adventure begins in Lima with a free airport transfer to your hotel and welcome meeting at 6pm. If you arrive early, check in and head out to get a taste of the capital, which is full of Spanish colonial buildings. Sample some seafood such as ceviche or take a stroll around the Parque del Amor. Get to grips with Lima today on a five-hour guided tour, starting with the National Museum of Archaeology, Anthropology and History. Peruse the selection of ceramics, tools and artefacts from pre-Incan times, which date back to 1,000 BC. You’ll also get the chance to visit the main cathedral and stunning Baroque-style San Francisco Church, touring its eerie catacombs. The evening is yours to relax, there’s an optional dinner and folklore show. Fly two-and-a-half hours to Puerto Maldonado for your trip to the Amazon Rainforest. You’ll be picked up by the tour company and store most of your luggage at their office, packing just what you need for the trip. Take a canoe ride upriver to your jungle lodge, located in the Madre de Dios area, a lush section of the jungle. You’ll stay in a simple, eco-friendly lodge with en-suite toilets, cold-water showers and kerosene lamps. Over the two days you’ll explore the Amazon with a guide on boat rides and treks. Learn about the plants that are used for medicine and spot animals including monkeys, colourful toucans, river otters and even black caiman. There’s also the chance to take part in a night walk to see incredible bugs and spiders. Say goodbye to the Amazon and take a one-hour flight to Cusco, the jumping off point for trips to Machu Picchu. The city features a mix of Spanish colonial and Incan architecture, with cobbled streets, plazas, churches and temples. 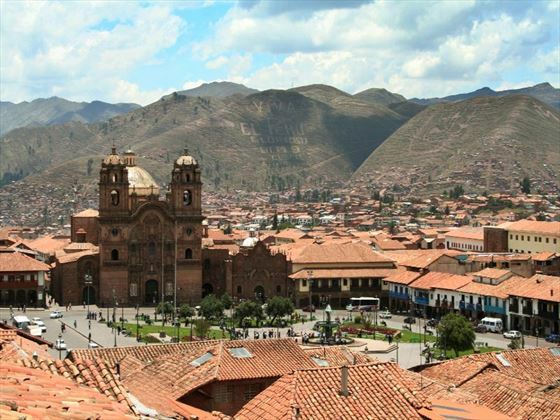 Spend the day acclimatising, as Cusco lies 3,450 metres above sea level. Rest and drink plenty of water to combat any symptoms of altitude sickness. Head into the Sacred Valley, a mountainous area of fertile land that was revered by the Incas. You’ll meet llamas, alpacas and vicunas at Awanancancha before arriving at the village of Pisac. If you visit on a Sunday, Tuesday or Thursday, you’ll also be able to shop in the local market for handicrafts and souveniers. Tour a farm to learn about traditional life and see textile demonstrations including dyeing, spinning and weaving of alpaca wool. You’ll share a typical lunch with the community before a guided tour of the nearby Incan ruins, perched on mountains overlooking Pisac. Spend the rest of the day chilling out at your hotel, which has a swimming pool. Your tour of the Sacred Valley continues, with an hour-and-a-half drive to Ollantaytambo. This pretty town was one of the few places where the Incas defeated Spanish forces and it features iconic Incan grid streets and an archeological site. These ruins are located on hillside terraces overlooking the town, which you’ll get to explore. In the afternoon, board the train to Aguas Calientes, a journey that winds through canyon-like valleys alongside the Urubamba River. Rest up before your trip to Machu Picchu the next day or head out for a soak in the town’s natural hot springs. Rise early for your trip to majestic Machu Picchu, the most famous Incan ruins and one of the New Seven Wonders of the World. 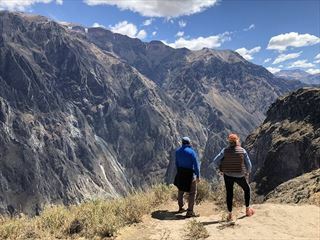 Take a 30-minute bus ride to the site for a guided tour of the ruins of this lost city surrounded by Andean peaks, which is thought to date back to 1450. Visit the remains of temples and houses and learn about Incan life on the two-hour tour. You’ll also get free time to take plenty of photos, don’t miss the view from the guard tower. Around lunchtime, you’ll take the train back to Ollantaytambo and a private transfer to Cusco. Enjoy a morning of stand-up paddle boarding on Piuray Lake, just outside of Cusco, then spend the rest of the day as you please. 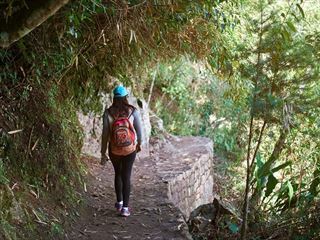 Take advantage of your Full Boleto Turistico pass that gives you access to 16 sites in and around Cusco. Wander down to San Pedro Market for some shopping and sample some street food or check out the Museum of Inca Culture. Accommodation: seven nights in a hotel and two nights in a jungle lodge. Transport: plane, boat, private vehicle, train. Food: nine breakfasts, three lunches and two dinners. Activities: Lima Archaeological Museum, cathedral visit and guided tour of the San Francisco Monastery and Catacombs. 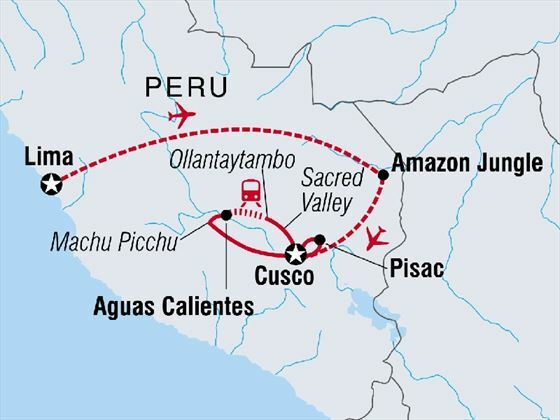 Amazon Jungle experience and Cusco Full Boleto Turistico Pass with access to 16 sites in and around Cusco (transport not included). Pisac Archeological Site and Machu Picchu entrance and guided tour. Cuzco is at a cracking 3,450 metres above sea level so let your body adjust and get used to the altitude. The Amazon is a stunning place and can get very hot and humid so remember to drink plenty of water and bring some light cotton clothing with you, as well as your high-strength insect repellant. In the Andes you are high up so ensure to bring some warm clothes too to cover all basis!